Looking for cloud storage of your own ? You've come to the right place! The DS216j DiskStation is a dual-drive mid-range network attached storage, suitable for pretty much everyone. It’s simple to use and easy to install. Read more in the full review. 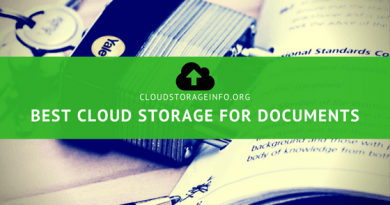 Nowadays, we use cloud storage to store photo collections, video recordings, various song albums and documents that are usually important to us in many ways. Documents such as work spreadsheets, legal agreements, job contracts, meeting notes, student sketches, reports or even a personal diary are all so relevant that we can’t afford to lose them. You just can’t afford to lose them as it would probably lead to a heart attack and eventually getting stuck in the bar on the end of the block, coming home at 4 a.m. Bullying is now in the spotlight more than ever before and it’s as severe as it ever has been. Physical and verbal attacks, making threats, spreading rumours, and other forms of aggressive behaviour have pushed some teens to the point of suicide. One reason bullying has become more visible to adults is that much of it is taking place on the internet. Copyright © 2019 CloudStorageInfo.org. All rights reserved.